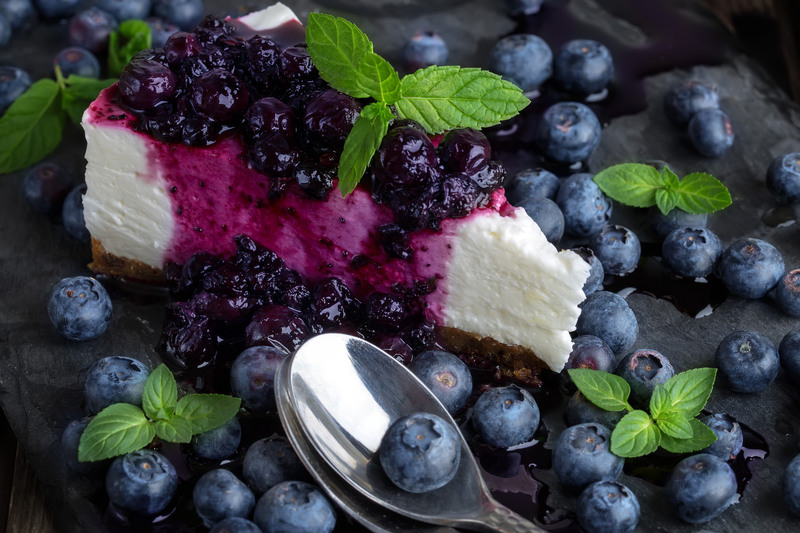 The first step of making this yummy cheesecake is to take a springform pan and grease with a little bit of oil or butter.Or spray some non-stick cooking spray. Take the sugar-free digestive biscuits or other biscuits and put them in a plastic bag or something like.With kitchen hammer or rolling pin,crush them into tiny pieces. Place the crushed biscuits in a larger bowl and add the melted butter or coconut oil to them.Mix well. Spread the biscuit mixture evenly on the greased springform pan.Press it with other pan or spatula.Place it in the fridge while preparing the cream. In other large mixing bowl,add the softened fat-free cream cheese,powdered stevia,grated lemon zest, fresh lemon juice and vanilla extract. Use a hand mixer and mix everything together very well.Until the mixture is creamy. In other mixing bowl,whip the whipping cream and add it to the cream cheese mixture.Mix well again. If you want to use the vegan cream cheese you should first drain the soaked cashews. After that add all of the ingredients for the "cheese" to a high-speed blender or food processor and bled until the mixture is creamy and homogenized.This is for the vegan cream cheese. Remove the springform pan from the fridge. With a spoon or spatula scoop out the cream and spread it evenly on the base of biscuits. After that,place the cheesecake in the fridge for about 2-4 hours to set. In the meantime,prepare the homemade blueberry jam. Preheat a pot on a medium-high heat. Add the blueberries along with 2 tablespoons of powdered stevia. Stir and cook until the mixture is thick enough and has consistency of jam. Remove the pot from the heat and leave the jam to cool down completely. After the cheesecake is set,remove it from the fridge and remove the pan. 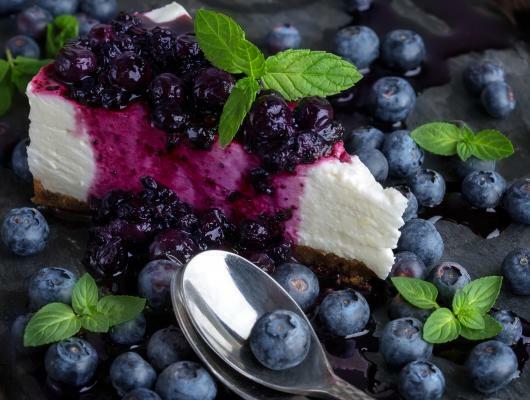 With a spoon,add the ready blueberry jam on the top of the cheesecake. Slice into pieces,serve and enjoy the amazing sweet taste. This cheesecake is absolutely amazing.It is so yummy,creamy and melts in your mouth when you eat it.